Two mosquito samples in Newhall tested positive for West Nile virus this past week, according to the Greater Los Angeles County Vector Control District. It was the first appearance of the virus in the Santa Clarita Valley so far this year. West Nile virus can cause cause fever, headaches, body aches, nausea and skin rashes when transfered to humans through mosquito bites. There is no cure, and symptoms can last for weeks or months. Only 1 in 150 people typically require hospitalization. Infected mosquitoes and dead crows turn up each summer. Last year they were evenly disbursed across the Santa Clarita Valley. 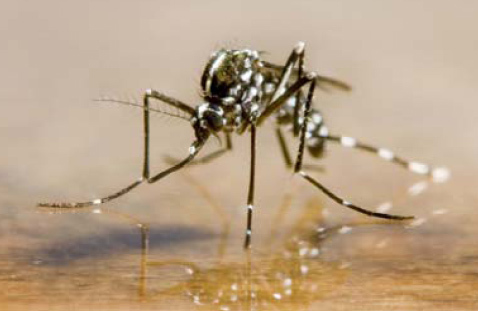 Last week, Los Angeles County’s first infected mosquitoes of 2012 were detected in Encino. So far this year, 124 mosquito samples and 168 dead birds have been reported throughout California. 1, Dump/Drain – Eliminate standing water on your property because that’s where mosquitoes breed. 2. Dusk/Dawn – Avoid outdoor activities when mosquitoes are most active. 3. Defend – If you are outdoors when mosquitoes are biting, wear long pants and long-sleeved shirts and apply insect repellent containing EPA-registered active ingredients such as DEET, Picaridin, IR3535, and Oil of lemon eucalyptus. Vector Control recommends that individuals exhibiting these symptoms following a mosquito bite consult a physician as soon as possible. Those at highest risk for severe cases of West Nile virus are the elderly and people with weakened immune systems. For more information about West Nile virus visit www.westnile.ca.gov.